Duck are mostly aquatic birds, with a nearly global distribution, with the exception of Antarctica, although some species have learned to survive on sub-Antarctic islands. Depending on the species, they occur in both fresh water and sea water. A group of ducks is called a "brace". The male duck is known as "drake," the female as "hen," and a juvenile duck (chick) is referred to as "duckling." 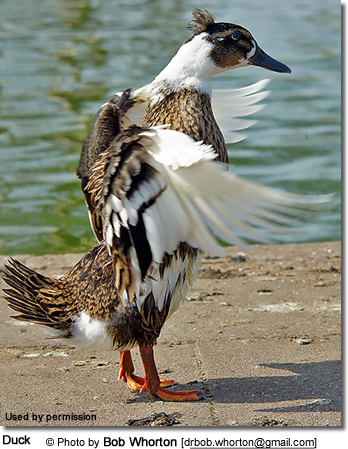 Domestic ducks live, on average, 8 - 12 years. 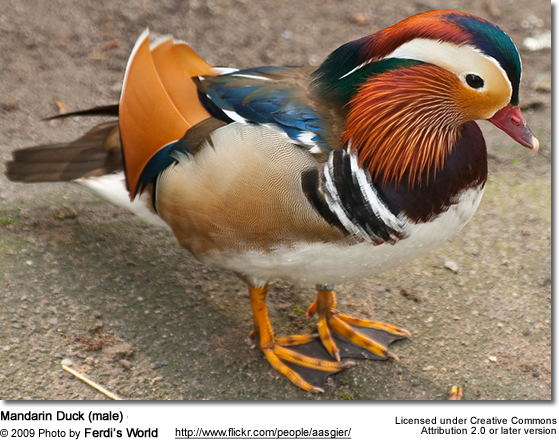 Duck breeds are generally grouped into Light, Medium and Heavy weight classes. The duck's overall body is elongated and broad; and ducks are relatively long-necked, although not as long-necked as the geese and swans. Diving ducks typically have a more rounded shape and a broader bill. The fish-eating species have long bills that are strongly serrated to allow them to more easily grip slippery prey. They have strong, scaled legs that are set far back on the body. The short and pointed wings are very strong. 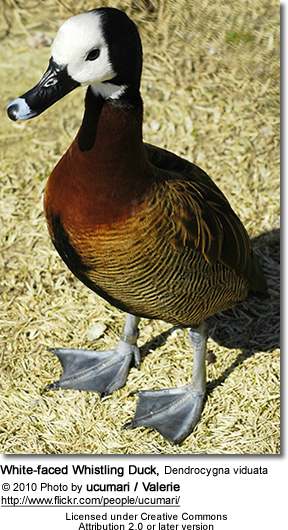 Three species of steamer duck are almost flightless; although many species of duck are temporarily flightless when they are undergoing their yearly molt (usually post-breeding). During this time, they will seek out protected habitat with good food supplies. Following their molt, migratory species will travel to their winter territories. air sacs in their bodies that increase their buoyancy. their feathers trap air in between them, which also helps them to float. 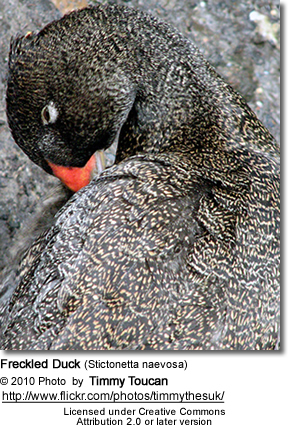 Their feathers are covered with a waterproof substance that keeps them warm and dry. 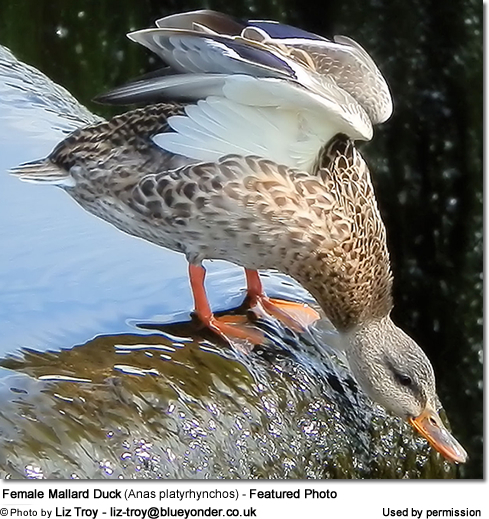 Their webbed feet allow them to maneuver easily in the water. Feeding: instead of "teeth," ducks have serrations (saw-like edges) on their bills that allow them to filter food out of the water. Sometimes, it is easy to confuse geese and the related ducks and swans, and the groupings are in some cases unclear and disputed. However, speaking in general terms, size is usually a method of identification: swans tend to be larger than true geese and ducks are usually smaller. Swans have longer necks than geese, and geese have necks that are shorter than the body. Geese have longer necks than most duck species. Ducks usually pair up for one breeding season and are during this time monogamous, except for the larger species and the more sedentary species (such as fast river specialists) may form pair bonds that last numerous years. 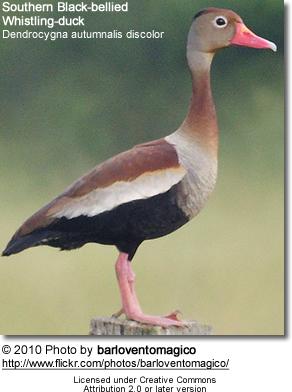 Ducks usually b reed in spring or summer or during the wet seasons. Most duck species only breed once a year. 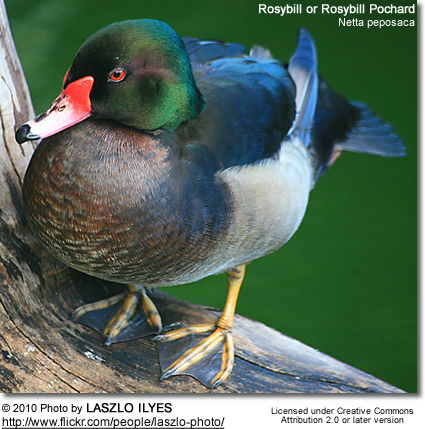 Ducks make a wide range of calls that are described as whistles cooing, yodels and grunts. Their calls could be loud displaying calls or quieter contact calls. Only the females of dabbling ducks" quack. The males never quack. 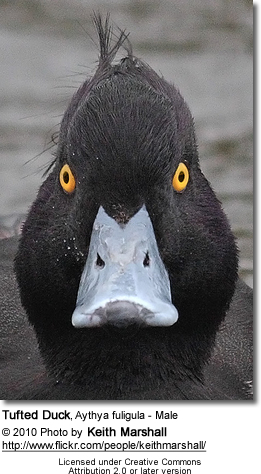 The scaups (diving ducks) call's sound like "scaup" - hence their name. Ducks are preyed upon by predatory birds but also large fish like pike, crocodilians, and other aquatic hunters, including fish-eating birds such as herons. Ducks' nests are raided by land-based predators. Brooding females are caught by foxes, or large birds, such as hawks or eagles. In flight, they may be shot down by hunters or are at risk of being taken by Peregrine Falcons, which regularly speed up to catch ducks and other birds in flight. Ducks are commonly farmed for their meat, eggs, feathers (particularly their down). .
Visit this webpage for tips on how to control them humanely. 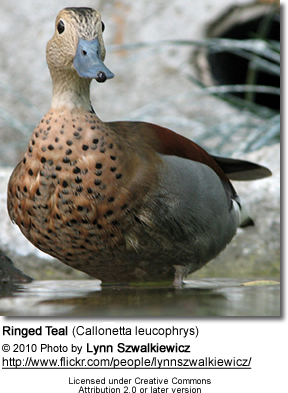 Ducks may feed on grasses, aquatic plants, fish, insects, small amphibians, worms, and small mollusks. Some may eat mussels, shrimps, and even young birds. 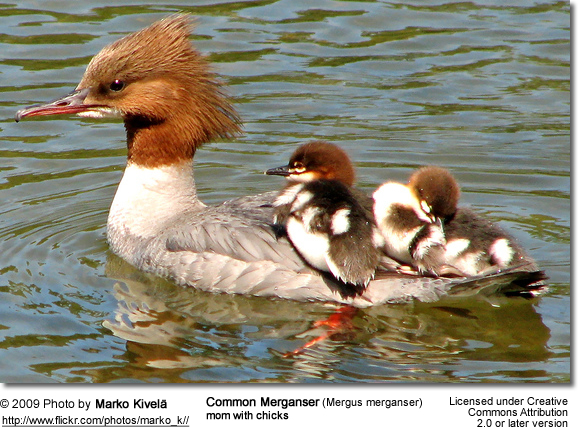 A few duck species, such as the smew, goosander, and the mergansers, also catch and swallow larger fish. Instead of "teeth," ducks have serrations (saw-like edges) on their bills that allow them to filter food out of the water or help them grip their slippery prey. Some duck species have wide, flat beaks that allow them to easily dredge wetland to pull up waterweed, pick up worms and small mollusks. 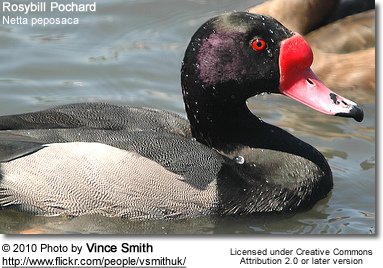 The heavier Diving ducks and sea ducks submerge themselves to feed deep underwater. Due to their heavy weight, they are not the best flyers. 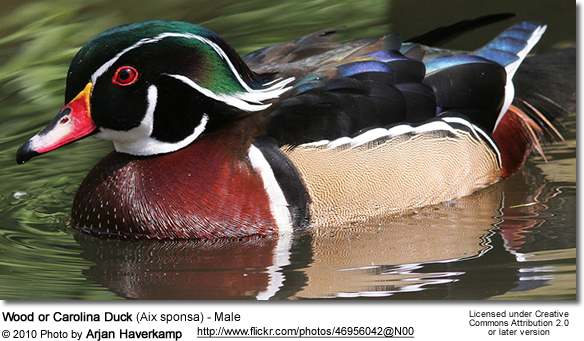 The dabbling ducks mostly feed on the surface of water or on land,. They will go as deep as they can reach by up-end without actually submerging themselves in the water. They have a comb-line structure along the edge of the beaks called a pecten, which allows them to strain water squirting from the side of the beak and traps any food. They also use the pecten to preen feathers.